Mahalo for visiting the Lahainaluna High School Foundation website! This year marks our 15th year and we are proud of all that we have been able to accomplish...thanks to our many supporters!! Because of your generosity, we have been able to provide the school with a $9,000,000, state-of-the-art, multi-purpose stadium, have given more than $1,250,000 in grants to nearly every team, club and organization on campus, will surpass $1,270,000 in scholarship awards this year, and now provide the library with more than 150 books and other items annually. You don't need to be an alumni to support the students and staff of Lahainaluna, and if you would like to support the success of this very special place, please see the article below, or click on any of the donor buttons to access the donation portal. We are now charting our course for the next decade and we are all looking forward to the new projects and programs we will be involved with. We hope that you all stay involved, and to keep informed, you can visit our Facebook page, subscribe to our monthly eNews, and continue to visit our website for updates. 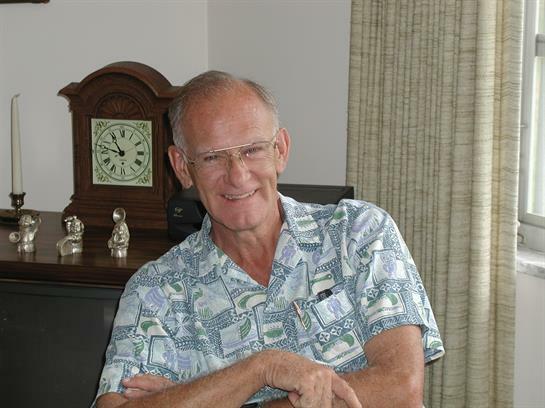 Brian Kelly, the former music director at Lahainaluna for more than 30 years, and a founding member of the LHS Foundation, recently passed away. Our sincere condolences to his family and friends. A scholarship has been created and will be administered by the Foundation. If you would like to donate, please use the website's donor portal, or send your check to the Foundation. (Write Brian Kelly Scholarship in the memo) There has also been an endowed scholarship, thanks to the generosity of Brian's cousin, Glenn & May Tansley. A music scholarship in Brian's name will continue in perpetuity. If you want to donate to the endowment, please specify when submitting your donation. 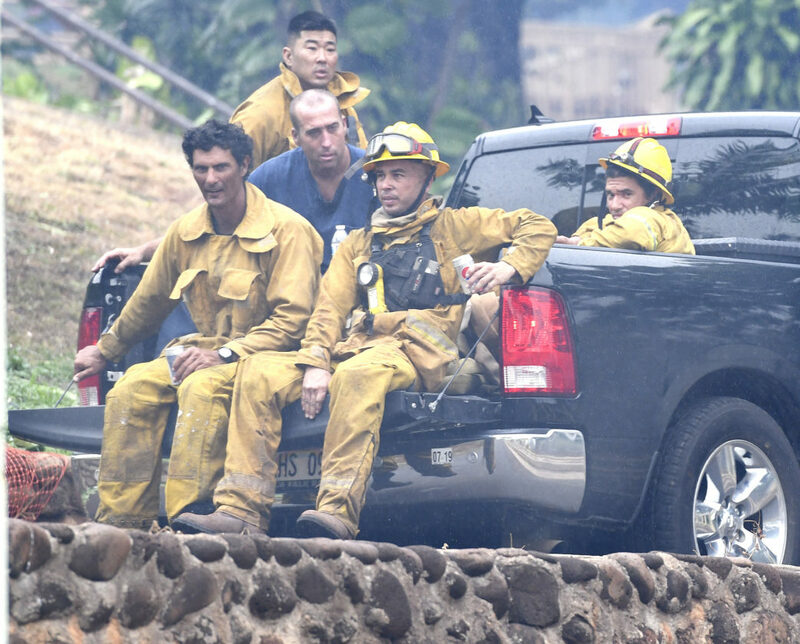 Due to the heroic work of Maui Fire Department, the campus of Lahainaluna was spared from any real significant fire damage from the blaze that decimated 2,000 acres in West Maui, early Friday morning, August 3rd. With the exception of a small portion of the track and the baseball team's practice infield, firefighters were able to keep the fire contained to areas of dry brush and no buildings were damaged. The Foundation is thankful to all the firefighters and other first responders who took care of our Lahainaluna community. 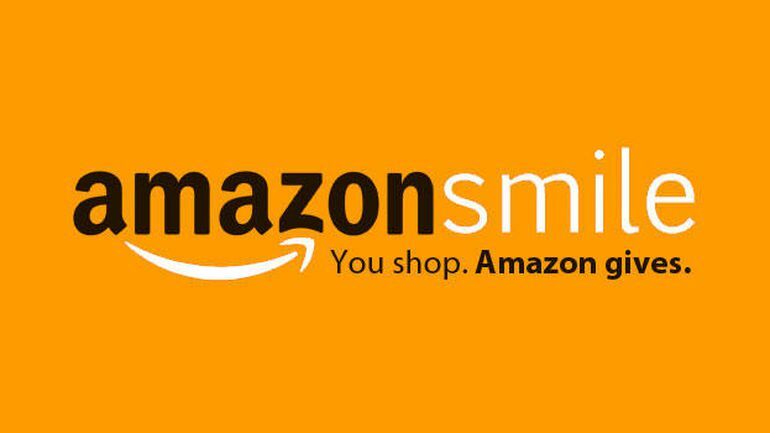 Did you know that when you make purchases through Amazon, that you can donate to the Foundation through their AmazonSmile program? It's easy, and free! 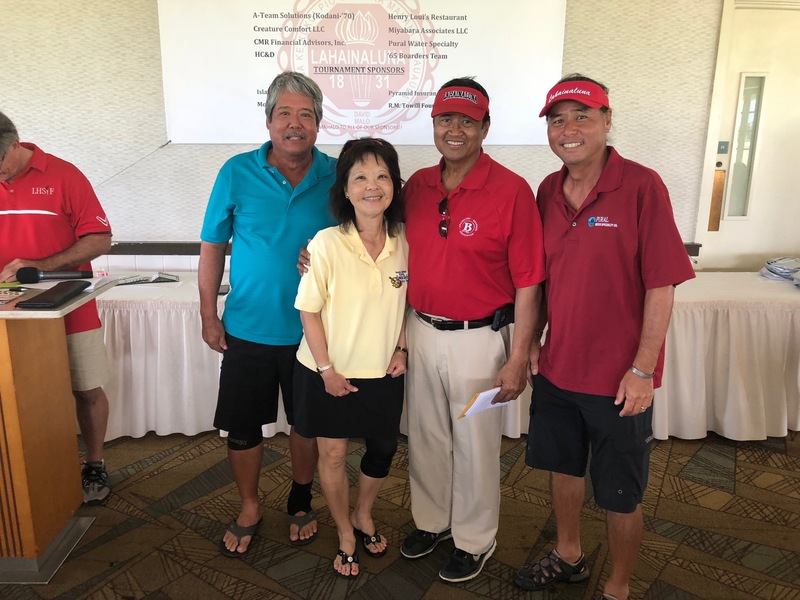 The 12th Annual Class Challenge Golf Tournament will be held on Friday, July 12th, at the Hawaii Prince Golf Club in Ewa Beach. Last year's event was hosted by the Foundation and we would like to express our thanks to all those who made this event a success for the past 11 years. The event raised nearly $9,600 for the Foundation. 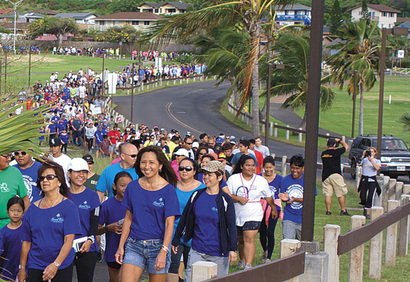 The 2019 Maui Visitor Industry Charity Walk will be held on Saturday, May 11th. The Foundation will be participating again and hope you will support our efforts. Welcome to Ryan Nobriga, the General Manager of the Westin Ka'anpali Ocean Resort Villas, as the new Maui County Charity Walk Chair. We look forward to another successful year at this year's Charity Walk!! For the 2018 Charity Walk, the Foundation came in 3rd Place for Non-Profit Agencies! The 2017 Charity Walk set a new record at this year's event!! 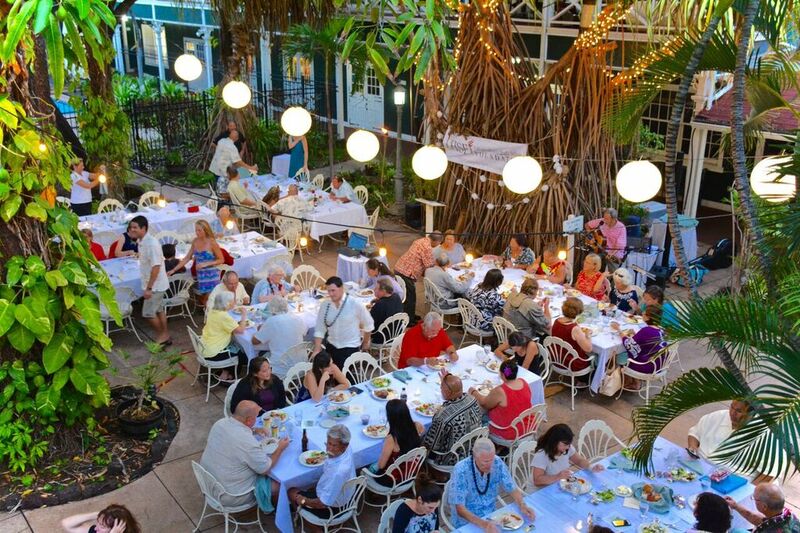 A total of $1,159,053 was raised for Maui County non-profits. The Foundation raised a total of $25,074 for our 1st -year efforts. Mahalo to all those who donated this year, and special mahalo to Board President, Mark Tillman who was the top Foundation money raiser, with $2,856!! Even thought the walk is over, you can still donate until the end of the month. Please use our link, or the donate button on this website. Development Committee member Dan Williams will be heading up this important effort. For more information, contact him at onenapi@aloha.net, or Executive Director, Jeff Rogers, at lhsf08@yahoo.com. The Foundation's plan to renovate the Lahainaluna Cemetery has gained some traction and saw some visible progress on Saturday, July 8. The cemetery hasn't seen a formal renovation since 1929, and the Foundation hopes to bring this historical site back to an acceptable level. As of July 8, most of the weeds inside the perimeter and much of them outside the perimeter have been cleared. About a third of the perimeter posts were repainted and a quarter of the perimeter chains were painted, as well. Other improvements call for putting down weed barrier cloth and gravel along the walkways surround the grave sites. Future plans will include replacing bad perimeter posts, straightening posts and finally, grave site renovations. For information on how you can help, contact the foundation at lhsfoundation@hawaiiantel.net., or use the contact form on this website. 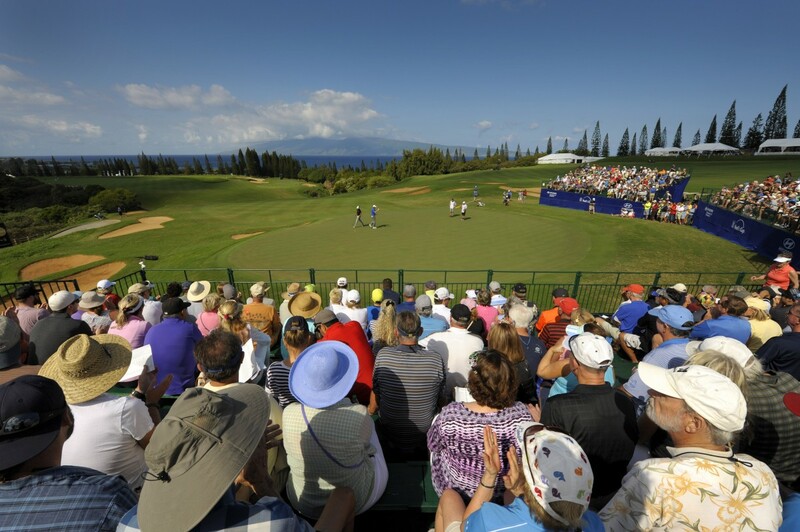 The PGA TOUR and Sentry, one of the largest business-focused mutual insurance companies in the United States, today announced a five-year agreement making Sentry the new title sponsor of the exclusive winners-only Tournament of Champions at Kapalua Resort in Hawaii. The newly named Sentry Tournament of Champions will maintain its traditional spot as the first tournament in January 2018 when the 2017-18 PGA TOUR schedule resumes following the holiday break. The agreement extends through the 2021-22 season. The 2018 tournament will be held from January 4-7, 2018. 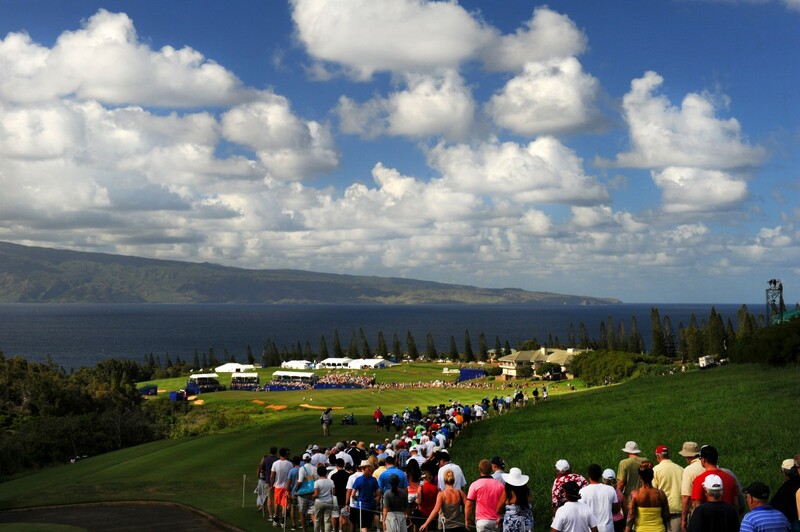 Since 1999, the tournament and its host organizations have donated over $5.6 million to Hawaii’s non-profit organizations. 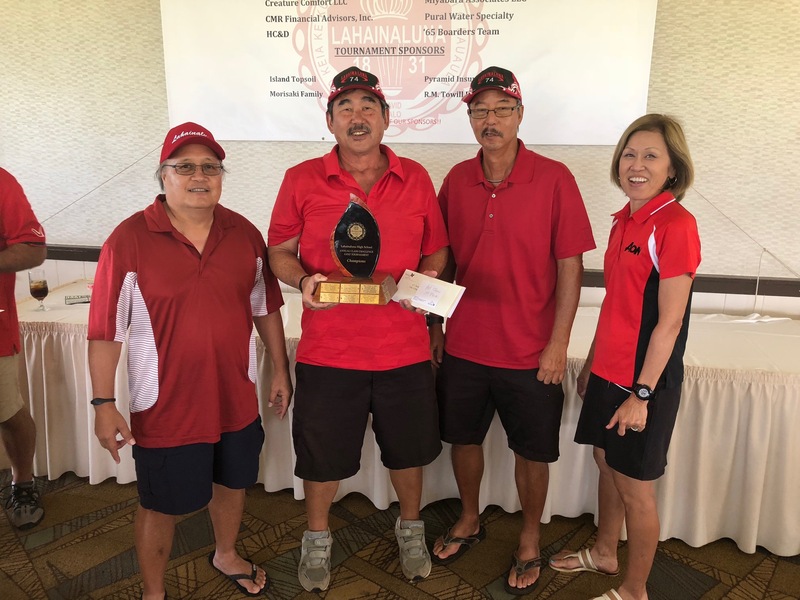 The Lahainaluna High School Foundation has participated as a designated beneficiary since 2005 so we urge all our supporters to attend the Tournament of Champions! The Foundation is one of six beneficiaries of the tournament and we have been a proud participant since 2006. The 5th Legends of Lahainaluna was held at the historic Pioneer Inn, on November 9, 2017. This event provides the Foundation with an opportunity to honor individuals and businesses that have made a significant impact to Lahainaluna. This year, we had the privilege of honoring Lori Gomez-Karinen in the Individual Award Category. The business category recipient was Na Hoaloha 'Ekolu, the parent company for Old Lahaina Luau, Leoda's, Star Noodle and Aloha Mixed Plate. Former LHS teacher, Samuel Mookini was the posthumous category award recipient. For tickets, sponsorships and advertising opportunities, call the executive director at 808-661-5332, or email lhsf08@yahoo.com. The Foundation also celebrated its 15 year of service that night and a brief video to honor that milestone can be found here. After a lengthy hiatus, the Legends of Lahainaluna Awards Ceremony returned to the Pioneer Inn on April 3rd, 2016. We were honored to be able to recognize former LHS Principal, Mike Nakano, who served from 1995-2010. We were also fortunate to be able to recognize the TS Restaurant family on Maui; Kimo's, Hula Grill, Leilani's and Dukes, for all the support they have shown our community over the years. Our Posthumous award went to the Reverend Sheldon Dibble, who was one of the original teachers at Lahainaluna. Accepting his plaque, via video, was his great, great, great grandson, Will Fleishell. The Lahainaluna High School Foundation presented the 3rd Annual Legends of Lahainaluna Awards, on Thursday, November 21, 2013, at the historic Pioneer Inn. The 2013 honorees were Hellas Construction in the Business Category, Mary J. Bloder was honored posthumously, and Reverend Earl Kukahiko was the honoree in the Individual Category. The 2012 honorees included The Makana Aloha Foundation in the Business category, Alice K.K. Banham (1896-1956) for the Posthumous category, and Andrew Kutsunai & Sue Cooley were both chosen to receive the Individual award. ESPN personality, Neil Everette was the emcee. The inaugural 2011 event honorees included Robert Kawaguchi, Henry "Bruno" Ariyoshi and the Westin Maui Resort & Spa. ESPN personality Neil Everette was the emcee. For more information and pictures, use this link. or use the Projects-Events tab on the menu bar above. Our "special angel", Sue D. Cooley, passed away on February 18, 2017, and the Foundation, Lahainaluna and the West Maui community all mourned the loss. To view her dedication page please visit Sue D. Cooley. The Foundation held a celebration of Sue's life, on Saturday, June 24th. The stadium gates will opened at 8am, the program began at 9am and will ran until 10am, at Sue D. Cooley Stadium. This was an opportunity for the West Maui Community to come and honor Sue and the legacy she leaves at Lahainaluna. See recent Lahaina News article here. Like our LHSF page on Facebook or Follow us on Twitter! Be a part of Lahainaluna's Sue D. Cooley Stadium. Construction on Phase 2 is complete, the Department of Education has granted "Beneficial Occupancy"and the school's first football game under-the-lights was played on August 8th, 2015. Orders are still being taken but an installation date can not be determined. Pictures of the new installation will be available soon. Download the brick order form here. For bleacher sponsorships, please use the donation form and submit imprint information in comments box.